Ask the adult helper to pre-heat the oven to Gas Mark 6, 200°c / 400°f. Sieve the flour into the bowl rub in the fat and salt until it resembles fine breadcrumbs. Cream the yeast and sugar together in a small bowl. When this turns to liquid, let the children add the lemon juice. Add a little of the warmed/tepid milk or water to the flour mixture. Now add the yeast mixture with enough of the remaining milk mixture to make soft but not sticky dough. Place dough in a bowl and cover with cling film, leave in a warm place for half an hour to prove (rise). Remove from the bowl knead the dough on a floured surface. 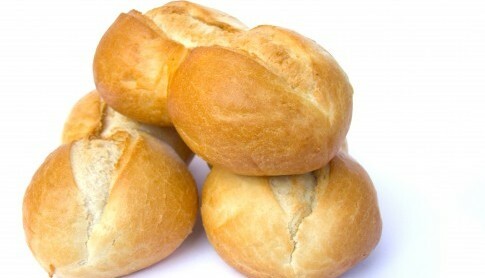 Divide the mixture into small dough balls, encourage the children to make a shape with the dough. Place the dough on a greased baking tray, cover with cling film, leave in a warm place to prove (rise) for 15 minutes. Bake in a hot oven for 8 to 10 minutes until well risen and golden brown.